CILEx Regulation (CRL) was delighted to receive news in July that the Lord Chancellor had approved its application on behalf of CILEx to license Alternative Business Structures (ABS). Whilst there are still some parliamentary requirements to be put in place, CILEx Regulation is hopeful it will be able to commence licensing in 2019/20. CRL believes that offering ABS will help to encourage competition within the legal services market. And with the CILEx membership having greater diversity, there is hope that this will be reflected in the future by ABS. ABS regulated by CILEx Regulation will still evidence their specialism and CRL will have carried out checks on all owners to make sure they have the consumer at the heart of the firm. These ABS will continue to provide the same protections that consumers value. Firms will be able to bring external investment, advice and knowledge into their ownership. Adding finance or marketing expertise to the ownership should help them develop further. Whilst CRL will want to understand the business structure and ownership, it will ensure this forms part of a standard assessment. This knowledge will help supervision and regulation of a firm. CRL is keen to talk to those specialist firms looking at ABS as an option and those established non-legal businesses that are interested in adding complementary legal services. CRL believes unregulated businesses doing unreserved work may find this a better way to seek regulation to conduct reserved legal work. Allowing CRL to license ABS firms means building on the Practice Rights and entity regulation already on offer by the regulator. CRL will continue to authorise by specialism and will do the same for ABS. 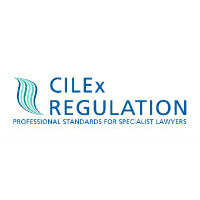 It increases opportunities for CILEx practitioners and delivers a wider choice of regulator for all providers of legal services. Having recently put in place arrangements to allow firms to switch regulator, it was important that this was available to existing ABS with another regulator. 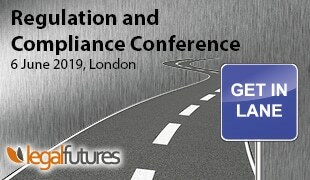 This is a really exciting time for CILEx Regulation.